"Too complicated for it's own good"
SAP allows you to achieve multiple finance and operations goals. You can program it to allow you to do various operations tasks such as creating invoices, purchase orders, inventory, bill backs, etc. It allows the entire company to access important files across the world. Overall, you can accomplish a lot with this program. The service itself is a bit complicated. I find that doing a simple task such as creating invoices takes several long steps that are confusing and time consuming. SAP also longs you off after only a few minutes with out use. SAP is also a very delicate system where any small error will send you into a tailspin to try to figure out what exactly went wrong. SAP can be very useful to your company if you carry a heavy load of inventory. SAP has given us the ability to store the inventory we carry and allows us to use that information in numerous ways so that both our operations department and our financial department can use SAP as their go-to source for resources and information. "Manages all your customers and transactions efficiently"
I really like the Access controls for users. With this the administrator can avoid users without proper authorization clearance, entering transactions or making any changes to customers data. SAP ERP even has the option of integrating with different software. Support team is always ready to help and all our problems are solved in no time by the technical team. A bit difficult to understand at first and it requires proper training and practice to use this software. This software can only be feasible for large organizations as the set p and running costs are too high. The software itself is very dry to use and it gets boring with the same job for an employee. "This is a very good ERP, biggest and most used in the world, "
I've been working with this ERP for over 4 years, i started as a user, and now i am administrator, this is a very big system, strong and trustable, very customizable, i've seen it implemented in many kind of company and it has been customized and adjusted to all of them, they have got better procediments and speed on their process. It never stop growing. This software is kind a expensive, and it take many months to get implemented, so sometimes some customers does not like the time, and specially the cost of it, but i think it worth it. You have to see if it is applied to your need, but in my experiencie, its totally customizable and can be adapted to any king of company, if you want to start a carrer in sap world of consulting, you will be grateful in the past of time, because i've known many people and companys with this, is totally great. I've seen many improves in speed and time, for retail enterprises, agro enterprises, they have moved their manual process to a dynamic workflow with high level authorizations per user and control of them, auditing all they are doing so you can trust them. "Best in class ERP software"
SAP ERP is an industry in itself. The vast number of business solutions it provides to businesses, which includes planning and purchasing, manufacturing, QA and QC testing, etc. is very useful. Various modules of SAP ERP appropriately fit into the scheme of designing a stable and robust business model. This software indeed provides a one stop shop for all departments to function seamlessly. I am highly satisfied with this software. Owing to the complexity of the software, beginners may find it tough to learn different modules. In-field service could be potentiated to provided prompt business solutions. As far as functionality is concerned, there is no issue whatsoever. SAP ERP is an extremely robust software for businesses seeking solutions to streamline their operations. I would certainly recommend it to others. I have used this software in the past to manage planning and purchasing of raw materials at a chemical company. Labor scheduling and recipe preparation were the two most common functions that I performed at the time. It led to streamlining operations and increased production efficacy and turnover. "Is a way of work as it should be"
Is not for every company because is really expensive , and need that your company have all process , financial , cost , sales , production , etc , to really get the juice of the ERP. Also what i think is something not that important but my clients always tells me , that is really ugly , the user interface should be more appeling to he user. "Solo para grandes empresas ? , No tanto como creemos"
Normalmente soy muy entusiasta con las reseñas que hago en la parte de los gustas , pero en este caso no hay manera de no expresarlas , este ERP realmente integra todos los procesos que involucran cualquier tipo de negocio , no importa como el sistema es adaptable para que asi se amolde a tu logica de negocio o a tus estandares de trabajo por ende la curva de aceptacion es bastante baja . Otro detalle importante es la cantidad de informacion que existe en la red con la cual te puedes apoyar para cualquier soporte. En este apartado creo que cabe mencionar los costos que conlleva tener un sistema de esta indole en contraposición lo que seria otro tipo de sistema mas economico , ademas de que lo altamente calificado que debe ser tu personal de implementacion para que todo quede a la medida del cliente. Se piensa que deberia ser una empresa grande para tener este tipo de sistemas , lo que pude darme cuenta es que realmente no es asi ya que existe diferentes versiones del mismo sistema de forma tal que se amolde a tu esquema de trabajo o tamaño de empresa. El mas importante en este particular fue eliminar las islas electronicas , teniamos diferentes sistemas para cada area , HR , Contabilidad , Compras , proudccion , mantenimiento en fin , un desastre total en cuanto a la organizacion de la informacion por ende generaba mucho retrabajo e incongruencias entre las diferentes areas. This ERP truly incorporates every one of the procedures that include any kind of business, regardless of how the framework is versatile so that so it accommodates your business rationale or your work measures consequently the acknowledgment bend is very low. Another essential detail is the measure of data that exists in the system with which you can bolster for any help. I think it merits referencing the expenses of having an arrangement of this nature as opposed to what might be another kind of financial framework, notwithstanding how very qualified your usage staff ought to be so that everything is customized to the customer. For records payable purposes, this is the best! Having the ability to alter your AP handling is incredible for the organization you work for and your clients, too. I prescribe that in the event that you change to SAP ERP, you truly set aside the effort to ensure that the data in your heritage framework is right from the earliest starting point. Assess the framework as indicated by the prerequisites of your organization and assess the arrival on venture of the framework. It is a decent framework yet requires a long usage exertion and intermittent upkeep is likewise costly. Venture the executives, planning, activities. The advantages I've understood is that it can make these territories truly sorted out and productive crosswise over groups. It incorporates well with different frameworks. Their stock exchanges report likewise helped me effectively track stock errors to keep our stock as precise as would be prudent. SAP has loads of features and resources that can help a large business. There are so many resources and tutorials that can also help to make the integration more seamless. It's a product that's been around for quite awhile so it's more trusted in the business. A lot of companies use SAP and it's just one of those tried and true things. It also integrates well with other systems used here at Shure, which has made our processes more seamless. It has organized processes and made them more efficient, especially across different teams. It is not the most user-friendly. I think that the vast amount of features can make it a bit confusing. I also think that its interface is very clunky. It took me quite awhile to figure things out and get things right with SAP. I was annoyed at how much I had to Google and ask questions and attend trainings just to understand this product. There are so many resources available online to make your experience more simple. This product is very pricey so don't invest until you've really researched your options and really know that this will be the best product for your team. You really have to weigh the pros and cons, but if it works well, it will really make things more efficient for your company. Project management, budgeting, operations. The benefits I've realized is that it can make these areas really organized and efficient across teams. It integrates well with other systems. "One Tool for Business Function of an Organisation"
It is very useful for Purchasing & Store reduce Purchase Inventory & Costing. Difficult for first time user for understand in about it and All Industries can't use it because is really Expensive and Get your company all information about product cost finance etc. Need of Training Course to Learn option. I recommend this Software to Big Industries there sufficient Staff & Afford it's Cost & Time and This is not for Small Industries. The interface of SAP ERP is extremely boring to use. Simple colors are used for font and there are no colors. Even a professional may get bored from using this software after a while. This software is also extremely expensive. SAP ERP has been extremely helpful in my business. All my accounting problems have been solved by this. Chances of Fraud have been reduced as all my work is being done on cloud. All my purchase orders and invoices can now be made via SAP ERP making my business look more professional. As there are more approvers and checkers involved in this verification process, chances of mistakes are also mitigated. "ERP makes my business flourish"
The cost is a major concern. Undoubtedly, the software is costly but the benefits will only be realized once we start using the software. For a first timer, the software design and user interface may look extremely boring to use as well. "SAP, essential for companies today." SAP is a computer system, it serves to provide information. It feeds on the data that is loaded and processed within an environment, and the best thing is that the system will be responsible (according to the configuration made by the user - SAP consultants) to produce with this data useful information for decision making and the exposure of these data in a way that can be interpreted by the interested parties. The only bad thing about sap is that it is not aimed at small companies. In fact you must have a very important annual turnover to be a potential SAP customer. When companies talk about SAP, they talk about the global system, designed for multinational companies. I have used SAP for more than five years in the market, and I have never heard that a company complains about the product itself, on the contrary it allows invoicing in a simple way. Yes there are customers who have complained about the service provided by SAP parthners, but that is another issue totally different from what is the SAP system itself. I like that SAP was able to capture inventory across multiple locations. This was super helpful for situations in which we ran out of a part and needed to procure another from a sister plant. SAP also had easy-to-read, helpful reports that were easy to export into excel. I disliked having to memorize and learn new SAP function codes in order to use various tools across the software. I would recommend hiring consultants to spend time training you on this software. It would be very difficult to understand without them! We used SAP ERP as an MRP tool for material purchasing. We worked on a min/max system, and SAP's MRP tools gave me helpful reports to determine what our company needed to purchase. Their inventory transactions report also helped me easily track inventory discrepancies to keep our inventory as accurate as possible. "SAP if implemented right can add a lot of value"
I like the robustness of SAP ERP and how it can make sure that the rules are in place and rules are followed. Also there is a flexibility on how the company wants to setup their rules. The costing of the products is very accurate. After initial implementation, it is very difficult to change a process or flow. User interfaces are not friendly. It is difficult to switch between the screens. It would be nice to be more intuitive. SAP is a good ERP system for the manufacturing environment. It has a robust infrastructure by following Best Business Practices. Any large business requires an ERP program to run its operations smoothly and SAp is the right software to do it. I am more familiar with the manufacturing module which helped the company to set itself for rapid growth. "The ERP makes the manufacturing easy"
SAP ERP has several modules. As a solution architect I work with SAP Manufacturing suite. The beauty of the product is, it comes with out of the box solutions to streamline the business processes with the IT solution. IBP helps to convert the demands into plan to produce products, production planning module generate the product structure, building materials, instructions to produce and resource utilisations. The PLM module is where the R&D and engineering team enters their data while new product introductions and these propagates to the production planning module. Production planning module is well integrated to the costing module which gives very good visibility of the planned costing of the material production and also calculates the actual production cost at the end of production run. SAP MII and ME are the modules which complements the production planning module and gives direct integration option of the machines and factory workers. Supplier Network Collaboration (SNC) is another good module ties the vendor's work with the internal manufacturing process. This module helps subcontracting scenarios. Utilisation of a factory which is dependent on the subassembly from a vendor gets a lot benefits from SNC. The last part is the quality assurance. The QM module is wide and flexible to integrate with the process. The User interface is complex and non attractive. The problem of SAP is, the screens are not following any open standard. They are in a process of changing the look and feel. But till now it's not fully converted. Make sure the consultants are well knowledgeable. A good consultant will maximise the out of the box module utilisation and minimise the custom development. SAP ERP helped a lot to capture every cost at the production floor during and after the production process. The quality parameter capturing process is very well defined which helps a lot during recall of the product and analysis of the root cause as well as provides in process visibility of the product quality to take immediate action to improve the production run. Batch utilisation as per the explanation date helps to use the inventory on time and accurately. This helped to improve the inventory maintenance cost. For this ERP there is no competition , it takes all the process in your industry and put into 0ne place for that is the most sutable software for enterprises.Another thing that's important is that out there is a lot of information for common and not so common questions , errors and doubts about the system . First of all now we don't have electronic island , all the information about our bussiness ir now concentrated in 1 places and is implemented for all the areas that work together as one. Also got aour specialist to learn and modell process from the point of view of the user and not just for the system point of view in that matters helped a lot in a friendly user experience for that matter. As someone who works in AP, the way my company has it set up made it really easy to learn and to get information from! The GUI can absolutely be improved. Difficult to use on smaller screens. For accounts payable purposes, this is the best! Having the power to customize your AP processing is great for the company you work for and your customers, as well. My job as an AP Incident Analyst uses SAP to find issues with invoices, POs and GRs to help vendors get paid on time, and for us to receive payments on time, as well. Sistema muy flexible y, si se configura correctamente, puede manejar la gran mayoría de los procesos de negocio de extremo a extremo (orden en efectivo, compras para pagar, finanzas y control, etc.). Antes, la interfaz no era buena, pero SAP ha tomado medidas para mejorarla. Se pueden conectar componentes adicionales de SAP (CRM, SRM, BI, etc.) para manejar procesos adicionales y tiene algunas opciones diferentes de middleware para procesos que necesitan ser manejados en múltiples sistemas. La implementación inicial es difícil y si compra compañías que tenían versiones anteriores de SAP, la migración hasta la versión actual de SAP no es fácil. Además, la administración es limitada debido al impacto que puede tener en los sitios globales, por lo que no se recomienda la personalización individual del sitio. Recomiendo que, si cambias a SAP ERP, realmente te tomes el tiempo necesario para asegurarte de que la información de tu sistema heredado sea correcta desde el principio. Evalúa el sistema según los requisitos de tu empresa y evalúa el retorno de la inversión del sistema. Es un buen sistema pero requiere un largo esfuerzo de implementación y el mantenimiento recurrente también es costoso. Gestión de recursos. La visualización del inventario en tiempo real es muy útil con funciones como comprar para pagar, planificar el producto. Todos los departamentos lo usan. Ventas, administración, compras, etc. This is far the best CRM for order processing. It can get as detailed when it comes to specific SKU's for every single order. The copy paste is smooth compared in SFDC. It can also be automated when a certain type of file in notepad can be converted into sales order. Different module maximise for a certain type of transaction. For example VA05 you can easily see all orders or open orders and it extract it to excel for reporting purposes. There is also called analyzer wherein you can extract reports directly to excel from SAP. It is a software so we hope that it can be a web-based so it can be accessed anytime, anywhere. I hope the vendor will contact users like us so we can give a feedback. Like what is the latest update and how can it help us more in our daily work. There are a lot of transaction codes that I don't really know and just finding it on google. So I hope there's is something like a user check to maximize using the SAP. We are using it in order entry. It is much easier compared to a cloud. Cloud is good but software works 10x faster than a cloud. Cloud based software always depend on bandwidth. Whereas software like SAP is much smoother and no lags and latency. "SAP ERP is good but.. "
The modules are well organized. If you know certain t codes then it is easy to use. In my view, to properly use ERP SAP you need to insert as many tcodes as you like in your vocabulary otherwise there is a chance you will spend too much time to do a simple job with ERP SAP. The part of searching and operations in pm modules are different for different organization but ERP SAP is rigid in the sense that it is not that much modifiable according to some company needs. The company has to learn sap to use it not the other way around. ERP IS used in my company to solve Financial areas, plant maintenance, Human resource, procurement and store problems. We were using Maximo for this purpose before but we were having the problem of combining finance with main plant activities. With ERP SAP the problem is resolved. Excellent software to use in coordingating orders & inventory. Some of the tools are there to get the job done. It's nice to be able to track finances and helps with planning & forecasting. Being able to use the program for other departments. I like that it can be configured for daily tasks that is very efficient for me. It is very time saving and can help reduce costs. You need to customize or make shortcuts. Need more tools from third party sites as you only have the basics. Having to pay for monthly maintenance and upkeep can damper the costs. It is a very powerful suite that requires alot of configuration. Extensive training and lots of upkeep. Need to have patience with the program, as some users who are not experienced with SAP will find it difficult. I would try it out before implementing a major software change. It's easy to use but still has a lack of functionality and tools. You will need a good team to plan and train employees. I would suggest downloading the trial software and speaking with customer service before making a major change. It's beneficial use helps with PM tools and functionality. Great for customization and creating shorcuts. New users in our company can find this is simple and easy, once trained properly. We conduct extensive trainingmonthly as we expand. We use the program to renew contracts every 3-4 months and find it is very productive in meeting our goals. I like that SAP is robust and all-inclusive. It's helpful to have all departments working, updating, and changing in one place. I think that the display of SAP is out-dated. I think this hinders work progress because it can be finicky and hard to learn to use for new users. Our company built our own SAP system, which had a lot of problems and is still having issues almost 2 years after implementation. It was a hefty goal, that could have gone more smoothly, but all in all was worth it. It solves the fractioning of work flow. SAP allows interdepartmental collaboration, so that when changes need to be made they can be done in a timely fashion. Also, everyone is using the same system, so they are speaking the same "language" to help one another out across the business functions. "Using SAP ERP is a learning curve." My favorite feature of the SAP ERP software is the ability to easily add, remove, and edit company T-Codes. When I add T-Codes they are neatly stored in my home page. I dislike the prompts telling me to check for uploaded documents. If I need to check for attachments I would go into the order and make sure they were there. SAP ERP is an efficient way of entering orders. I have used other systems in the past that are more intuitive and user friendly. It is nice to use one system at Samsung and SAP ERP seems to fulfill all of the necessary requirements. Our company uses SAP ERP to enter customer orders from salesperson to shipper. It's great because all team members can reference the purchase order number and track orders relatively easy. "Unpleasant as a user, but helpful for the business"
SAP is incredibly useful for the business, and whilst I don't like it as a user, I can appreciate that it is a useful way to consolidate large amounts of data from across the firm. As a user, it is not the easiest software to use. The look and feel is outdated (though that could be due to my firm still using an older version? ), and it is quite a pain even to input my work hours. I don't think it's intuitive at all. Useful from a business perspective, but not very enjoyable or intuitive for users. I am currently working on a project that involves reporting on FTEs, and SAP makes it very easy to collect data and report on the workforce. This makes reporting and planning on workforce growth much easier. "SAP - Perfect product for large organization"
It is an all in one solution for majority of departments in an organization. HR, Finance, Sales, Operations, Inventory management teams rely on SAP heavily. I love the way you can customize and create your own reports and even save them for future use.You can add your favorite transactions and Report. Once you get a hang of the product, you will fall in love with it. I can think of anything that I dislike besides the fact that it is quite an expensive product and some co-workers find it difficult to remember the various info types, transaction codes and are unable to create reports. Also, if you don't actively use SAP, it will keep signing you out. I will recommend this product to organizations that are looking to expand and want to make their systems efficient. You will need a strong team so you can train your employees well. It is a very expensive product so be wise and careful. My team and I use the HR module of this software. All HR records are entered into SAP. Its our central source of information. Other software like Kronos, Onbase, MSS are all intergrated with SAP. Its the source from where all our data is generated. "SAP is a great tool for business management"
I dislike a bit how structured it can be, but it allows me to do many things that other applications in the market do not have. "SAP (ERP) - ESSENTIAL TOOL FOR PRODUCTION !!" This tool helps us to perform integrated manufacturing. Basically, engineering could release designs in any PLM software's. PLM software and SAP could be integrated so that you could use those design/changes for production planning. In addition, purchasing team could also use this tool to work on their side. Update cost and supplier information's for the parts. Supply chain team can utilize this information to complete their piece of puzzle using information through SAP. User interface is simple but you need to have proper training to use its complete potential. My honest suggestion would be...if you are not using SAP as of today, then first make a process chart to understand what kind of operations you have and what kind of integration you need. Then you should contact SAP so that they can suggest best application for you and also you need to workout costing. There are much more benefits to use this software from engineering standpoint as well....in addition to manufacturing. "The best tool out in the market for businesses"
The cutting-edge technology on which SAP ERP relies so heavily is truly unique to provide the smoothest business functions in diverse areas such as human resources, planning, purchasing, accounting and many more. The very fact that a solutions provider enterprise transformed itself into an industry in itself is rather commendable. I like the fact that many people can switch from their respective field of study to learn SAP ERP from scratch and establish themselves as a resourceful solutions provider to various businesses. I would certainly advocate everyone to consider using or transitioning to SAP ERP. I have predominantly used the Materials Management, Quality Assurance, Quality Control, and Purchasing and Planning modules of the SAP ERP system. It gave structure of the workflow of the organisation I was associated with. "SAP one solution for all functions"
SAP ERP is one platform for all the data source in an organization from Finance and Sales & operations planning, procurement, logistics, production and commercial. All these functions are interconnected in an organisation to run the daily business. It is one ERP where each level of data is recorded to track the details from purchase requisition to deliver the product to customer. It supports to generate details from the data to run business smoothly and efficiently. People who are using SAP ERP and they want to make their system more efficient then they should use SAP Business objects. This brings more simplification for bringing the transaction level data. I like the ability of the many modules to work together seamlessly. I can be looking at something in warehouse management and double click on parts to go directly to material information that is part of the material master. Then I can move directly to ECN information and back. I very much dislike the learning curve. With this being a massive piece of software, it takes a long time to become proficient. I have used SAP ERP for 5 years now and am constantly learning new tricks and things you can do with it. Get lots and lots of training before attempting to implement. We are still cleaning up issues from when this was implemented in 2009. Unfortunately, no one had the foresight to think out everything that was needed and how it would all work together. My business controls everything with SAP. We are able to, at a glance, see where parts are, where production is, where engineering is with changes, what's been inspected by quality, etc. This has allowed up to schedule better and stay on target for our lead times. I like the idea of what SAP was supposed to do for us. We are new to the system and so far, nothing has worked as promised. I'm not honestly sure that this is SAP ERP system's fault or if it was who we used to build the system. There were promises of moving processes from manual to automatic. At the very least, it was supposed to be less manual. So perhaps in a few months, when the dust settles, things will be better and will act more as promised. This system is not user friendly. It's also not very "pretty" - it's hard to navigate and so far, it's taken a lot longer to do anything than in our very manual system we used prior. Have good, solid processes in place before implementing SAP. SAP requires you to complete things in a very specific order and it makes it even harder when you are trying to fix processes at the same time. So far, I haven't found many benefits. From what I understand, reporting should be easier and more defined than in our previous system. SAP's ERP has incredible integration. Development in ABAP is very nice with the connection to the data dictionary. Very nice to see SAP take lessons from Apple on UX ... learning SAPUI5 and looking forward to deploying mobile apps. UI5 is more bloated than Angular/Ionic. I understand components not needed will soon be ignored, which will lighten the apps. The overall user experience has been very poor for the last 20 years, but has been greatly improved wtih the option to make role-based mobile apps. Why not do the same for all SAP Gui transactions? Master data critical. Use standard SAP where possible. During upgrades, don't just do technical only - or your regression testing will eventually become overwhelming. "Great Integration Capability with Decent ERP Functionality"
I like the ability to be able to integrate this platform with various other software used within the organization. In addition, SAP allows for the creation of many custom t-codes which is a very big plus. By being able to customize, the platform allows organizations to be able to create the different functionality they need to address unique business needs. While customization and integration capability are big pluses, one big negative is the ability to extract data out of SAP for end-users. While IT support typically have access to mass data maintenance and advanced reporting capabilities, these transactions are typically limited to end-users due to inherent security risks. I believe additional reporting functionality should exist within SAP to be able to more easily pull read-only reports to address needs for mass data maintenance. Great platform with a large user and support community. Definitely worth consideration. One thing I do recommend is for new users to consider in advance the types of custom transactions they would like to create within SAP to address any unique business needs. It is much easier to create those custom T-Codes while the platform is being implemented than it is to do so after the integration has already occurred. 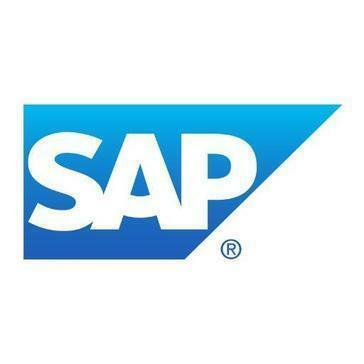 SAP allows my company to connect critical business functional software together by creating a centralized data warehouse to allow business processes to flow smoothly. Ranging from Warehouse management, Transportation, and Supply Planning, SAP is able to address many of a large organization's basic functional needs. My title is accounting analyst and we use SAP to post our journal entries for each month. We use this to pull our gross profit analyses as well as revenue summaries to use for our numbers each month. SAP makes it very easy to pull our balance sheet and income statements and see what activity is being posted to each account under our business unit. We use multiple company codes as we are a third party company to our larger headquarter company. We have to pull many reports for many different company codes and accounts and this allows us to pull data from a central focus point. MANY times the program will restrict things like uploaded documents whether they be excel items or word documents. I don't like that I have to enter in the format and frequency every time I need to print out a document that I've uploaded. SAP has a lot of glitches and errors out quite frequently without explanation. I am not a professional user by any means, however, I feel like the usability and functionality of SAP is poor. There needs to be an update to fix the glitches and errors or provide better explanations or pathways to work around. Switch! SAP's customer service is wonderful and the capabilities and reporting options that come along with SAP are fundamental to running a business. Business problems that we have solved are being able to pull multiple reports and analyses within the software. We use our profits/revenues to estimate our profits in the future and how our numbers should play out for the rest of the fiscal year. It has everything you can demand or imagine on an ERP. You can control the everything that's happening in your company, from sales and distribution, production, accounting, finance, purchasing, human resources, etc... And also you can add a lot of customization to their stadard processes. Sometimes it can be slow, and also as the standard SAP is so huge it's difficult to now everything tha can be done with standard processes, or for some of them it can be hard to understand how they work. You can control everything in your company. You can register everything and also create automated documents so in the end of the year you can have the year results with just one click. First and foremost is - I always wonder how they could cover all possible scenarios in one single application. For me, the learning did take little time. Learning materials were not made available online (public) Not sure not it is made public or not. we have used this for service management. like Managing contracts and renewing them if they are about to expire in 2 or 3 months down the line. "A SOLID AND STRUCTURED SOLUTION FOR YOUR BUSINESS REQUIREMENTS"
SAP it's a solid ERP solution that can be applied to multiple legal entities. Its modular approach lets you implement it on a smaller portion of your business and gradually extend it to almost your entire value chain processes. Besides, the fact that SAP it's a well known solution and has a great client base plays an important role in the choice of this IT solution (in terms of ease of implementation and change managment issues), especially for big companies and great conglomerates. As any performing application that is meant to be implemented on a larger scale, SAP as a lower customization potential. Another weakness (especially for small business) is linked to the effort in terms of time and money for the implementation and the management of this platform. But after all, great results deserve a greater effort. SAP let us manage our statutory and controlling routines for a relevant number of legal entities with a unified approach with remarkable returns in terms of quality of output for our internal stakeholder (especially consolidation and compliance departments), formation of our resources and solution of change management issues. It combines all the company reporting into one place and you can run different reports and schedule them to run at desired times! It also provides us an accurate way to track costs and spendings across our whole organization! The search engine, it could be updated to be more useful! Not really accurate. After beginning using a new system for the retail end of our business, we have struggled with reconciling a bit as it reports differently on our new system and the SAP. This is just a personal dislike as it makes it a little more work for us but we are figuring it out better! Utilize the support and resources offered! Communicate with your implementation team and their support to ease the transition. It allows us to compile information regarding purchases, payments, and financial aspects of our business. The reporting it gives us allows us to have accurate information to use for other things in our business! ERP is user friendly for those familiar with SAP and how it works. Whether it is using the binoculars to search or just typing in the transaction codes. Interaction with other SAP modules is also a bonus. If the user does not know where to go for something it can be difficult to find what is needed. There are A LOT of help screens on the SAP site, which can add to the confusion instead of help. It is useful- but with S4 Hana coming out I would go to that. SAP is helping to create a global standard within my firm in order to better plan and forecast products and link them to the rest of the business though other SAP modules. "SAP is my go to Software"
I like how you are able to search and have all the company reports in one single place and platform. The best part is that you can schedule these reports to run at very specific times in order to meet different business user's demands. I absolutely dislike the search engine that SAP uses when looking for something, it is not accurate at all. so it is best to only type the first few letters of what you are looking for because it will not find what you need if you type the specific name. SAP is on top of their game. Every software I have use from them has been outstanding. All kinds of business problems. I work for the largest insurer in the world, and we have a meet every single individual plan's demands and expectations, especially when it come to reporting request. SAP makes this a lot easier by using their portal platform to guide business users to run their own reports without the need to manually creating one for them. Provides a platform for accurately tracking costs and resource usage, provides an easy framework for viewing historical jobs one at a time, simplifies inventory tasks like cycle counts. Seems to have fewer glitches than competitor's ERP software. Does not have the capability of taking resource capacity into account when scheduling, so I have to manually pull my data and manipulate it to get our schedules right. Ok for me because I understand demand and capacity planning, but very hard to explain to colleagues why we can't automatically go by the SAP production dates for manufacturing. This costs us on on time delivery which is very frustrating. I know that there is a manufacturing module you can purchase, but as a small subset of a large company we have no buying power for this. Think about how you will use it and what additional modules you will need to add on before purchasing. Order management and cost tracking. Also responding to inter-plant demand requirements. "Corporate Accountant using SAP ERP"
The data extracting ability is very comprehensive once you get the hang of it. While there is a steep learning curve, the amount of data mining that we are able to do in order to resolve accounting issues is very helpful. The learning curve is very difficult and the training is very role specific making it difficult to train large numbers of people simultaneously. No two users are really doing the same thing or using the same T-Codes. As a recent newcomer to this software, it is very easy to use and intuitive. I really like it compared to other software I have used at my previous accounting positions. Intercompany clearings are made easier by using this software as it is easy to drill down to multiple locations and easily find areas that need to be fixed. "Integrates Every Step Of The Business Process"
SAP ERP allows for the user to create, monitor, and maintain each business process all within an integrated system. Integrated help functions provide detailed descriptions and explanations of each component of the software. SAP ERP does come with a learning curve; with so many features and functionality, the software does take some time to get used to. Take the time to educate yourself on the program before making the transition. Courses are available to better educate potential users of SAP ERP so they fully understand its features and capabilities. SAP ERP makes managing production, procurement, and fulfillment processes seamless and trackable. "SAP - Best ERP ever for big data"
SAP is great to manage larger volumes of data as invoices, orders, logistics info etc. It is great providing customized reports based on pre-defined filters. SAP is not very intuitive and requires a great server bandwidth for many users. It can get very slow if you do not have it. SAP is the most famous ERP in the world. Companies trust this SW just as they trust their management board. It provides quick reports, can solve the most complex logistics problems and still is very stable and secure. Logistics, purchases, sales, invoices flux and employee workflow. It offers multiple integrated tools, to manage personnel efficiently. It has all the payroll processes: payments, deductions, parafiscal contributions and provisions, are generated in the unique payroll process. The system is so broad that the company must train the staff according to the module or performance they have within the organization. "The best run business run SAP"
SAP products are very comprehensive in the business requirements they fulfill. I have been an SAP consultant for more than 6 years and believe me with some tweaking and enhancements you may map any business workflow with this ERP software. Go with the latest software by SAP. Complementing with SAP ECC, they will be a boon for your business. I was a consultant of SAP ERP and has implemented it for several companies. As a software to automate business processes, it is great and as a career option, it is best too. "SAP ERP- Strong tool for big business"
Global integration of data, real time updating, solid set of item master information. Great training options available. Solid support, with global knowledge of the tool due to a standard layout, set of reports, tables and fields. Great ways to view information globally and standardize processes across countries and languages. Configuration options are very vast, and unless you're a programmer it's difficult to know what the system is capable of doing. It takes a high level consultant or someone who has a particularly high knowledge level to know these options. Those who do have the configuration access usually do not have the functional experience to be able to advise departments or functions on ways that may be better for operating and improving efficiency. Take training courses to learn the options. It's impossible to know everything, but to open your eyes to the various avenues that are even possible. It is a very strong tool, but data management is of absolute importance. We pair this with Demand Solutions, to have a robust forecast combined with the strong SAP MRP tool. THe real time view of inventory is very useful. SAP offers fantastic training programs, which will help users learn the tool and learn to be more efficient in their daily work. We have shelf life concerns with our product, and SAP enables us to plan for those expiration dates in a way that does not put our customers at risk. "SAP Works Great but Confusing to Start"
What I like about SAP is that it is extremely easy to use but only when you get a hang of it. What I would recommend is that people get trained when they're new to the product and set up favorites for the reports that they run. It can be very challenging to figure out where to go to get the information that you want. We have a data team that enters the data for us so we can always ask how to get a certain piece of information but you're not going to have much luck looking on your own. Receive training. Make favorites so you don't have to search or request help. It's an extremely powerful program that can save you time from using a lot of different systems. This would be a great product if you're trying to have a one stop shop for a lot of what you need. Being able to track orders and keep track of all of our customers, warehouse information, billing, and personnel. We send the orders from our database to a server and then sent over to trucks where they run routes. We can see the breakdown of all of the products (with their specifications), our inventory and all of the orders they've been placed on. For our customers, can see all of the orders that they have ever placed, all of products that they consistently order and any bit of information that we may need. "ABAPER - SAP ECC 6.0 720 Kernel "
What I like best about ERP is the consistency of data across all modules. Since I am an ABAPER, we deal with different module specially when customization of standard is needed. Another thing I like best is the standards set by the SAP themselves. It's a relief to know that as long as I know the table names, the program variables, the naming convention and Tcodes, basically, I can use ERP, whether I am in the company, in the client or in the other company. What I dislike is that ERP is not very friendly in terms of back up repository. I don't know to the recent version but I'm using NetWeaver 6.0. When I'm trying to change or update a line of codes in my part, I need to provide a lot of comments. I need to provide the date I changed the line of code, the reason why. I am not very familiar with the process of development since I'm have little experience. What I know is that they have a transport request but still, I think, what you transport would be the whole program and not the changes you made. Not like the Git. I would recommend the use of SAP ERP to other industries that deals so heavily with transactions. Since, it's an Enterprise Solution, it is better fit if every department is touched by it specially the core departments such as Finance and Controlling, Sales and Distribution and so on. As an ABAPER, I am currently assigned to build up the internal repository of our ERP in the company. It's a disappointment that I need to create all the tables, the Message class, the Text Elements and the program itself separately. I barely manage to set-up the programs since there are a lot of dependencies. The tables are missing, the global object is missing. What I realized is that, it's very hard to transfer a whole pack of programs from an Client's ERP to the company's ERP. "The perfect ally to the success of your company in all departments"
For a beginner sometimes is dificult to learn to use it, is necesary to take long time to become an expert. a company without organization, won't have success. I recommend SAP ERP for a adequate organization, a perfect structure of any department with an interface that can contents all the activities at work for any employee, from president to a worker; each one will have their profile to the tasks to do and planned to the future. Each task in a company can be planned and executed with the correspondig report with all the properties of authenticity and validation of a chief. It have the perfects tools to any department at work to hace organize the data like: inventory, roster, tasks, mettings, agreenments, payments, and more. * We monitor all SAP ERP reviews to prevent fraudulent reviews and keep review quality high. We do not post reviews by company employees or direct competitors. Validated reviews require the user to submit a screenshot of the product containing their user ID, in order to verify a user is an actual user of the product. Hi there! Are you looking to implement a solution like SAP?